Elanee's Endeavors ! 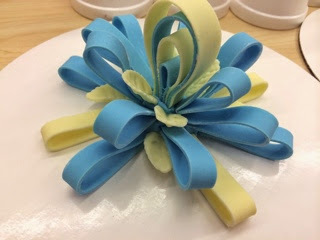 : Recent Endeavor- Cake Decorating! 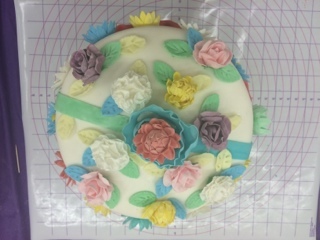 A couple months ago my Mom and I were able to take a cake decorating class. I had been wanting to take this class for the past couple years, so this was almost like a dream come true for me. We jumped right in and took two classes at once. 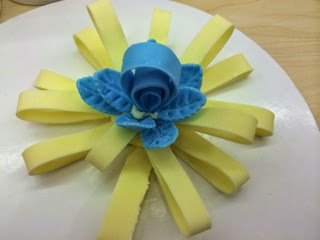 Fondant and Buttercream. 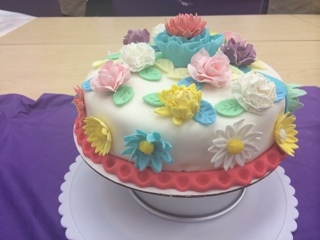 Over the course of 2 weeks we finished both classes, and made 6 cakes. 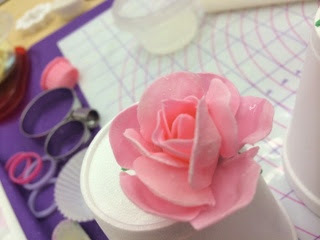 We began the fondant class making fondant roses. Mom's rose was my favorite. 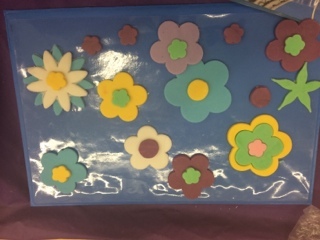 We also made Calililys which were really fun. 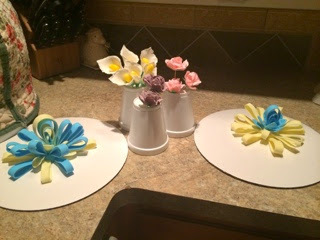 And then we made fondant bows and leaves. This was my bow. I really liked the two tone look. 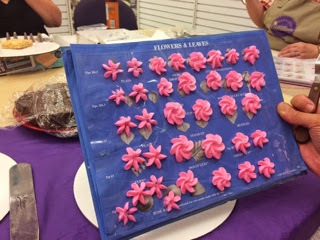 Here's all the flowers and bows we made after the first two fondant classes. 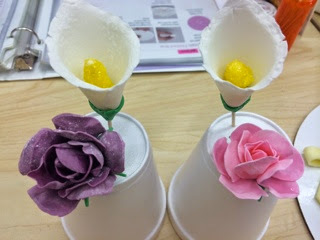 For the first couple classes we practiced making flowers, and leaves on a sample sheet. 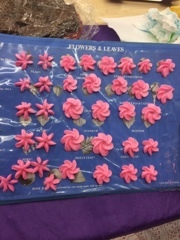 Then we took all the finished dried fondant flowers back for the final fondant class. 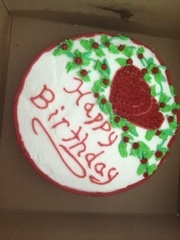 We also each made a two layer filled cake to decorate. 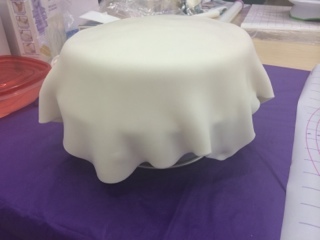 Then we began working on our final cakes. 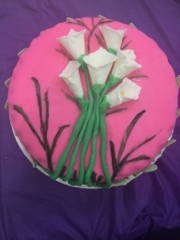 I decided to use most of the flowers we had made from all the fondant classes on my final cake. 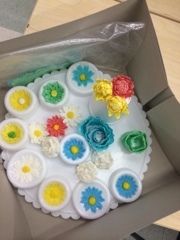 It ended up being a bit like a fondant flower garden I guess. I think the Daisys were my favorite flowers beside the roses. 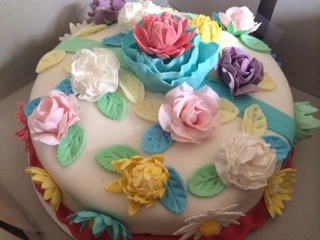 Mom decided to use the Calilily's for her final fondant cake. 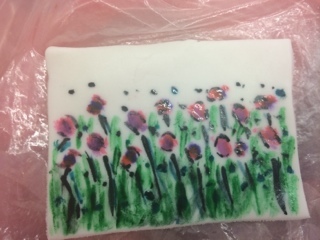 She also painted the extra leaves on the fondant. I really liked how her cake turned out. 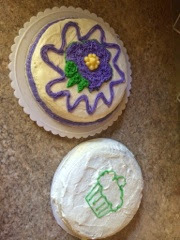 And lastly we made our final buttercream cakes. I loved the colors of Mom's. It was so simple, yet so beautiful. 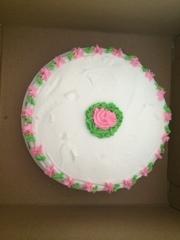 I ended up making my final cake into a birthday cake for a friend. The lettering was fun to do, as were the hearts. 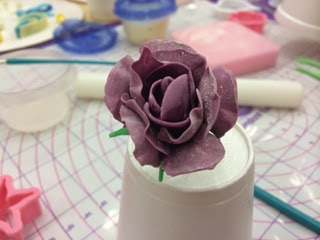 Overall, the cake decorating classes were a very fun experience. I was SO blessed to be able to learn the skill with my Mom, and we had such a good time doing the classes together. 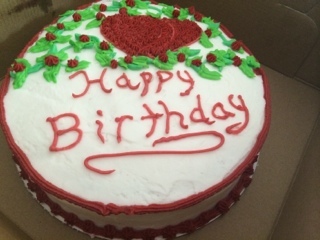 We haven't made any cakes since the class, but we look forward to making cakes in the future for birthday's and special events. And I know the skill will come in handy throughout my life! God is SO good to give us so many different ways to enjoy His creations, and to recreate His beauty for others to enjoy! Good job! They look really awesome and yummy! Those are absolutely gorgeous, Elanee! Thank you for sharing! By the way, it was so wonderful to meet you last week! The Effects of the Internet on Our Brains!